So those with significant wealth ought advocate for laws to protect their wealth and those without significant wealth ought advocate for wealth distribution? That seems to be a morality based upon self-interest. I think you'd advocate for greater wealth distribution even if it meant personal loss to your own wealth, arguing that societal well being is overall increased even if it means you personally might suffer in the short term. So, assuming the right is as righteous as the left, we might also assume their ideology allows for their own personal suffering for better overall societal success. That is, the billionaire who advocates for greater income distribution is as logical as the working class guy who wants less income distribution as both believe their respective ideologies (whether libertarian, socialist, or whatever) lead to a more overall prosperous society. It's as fair to call a rich socialist a product of social engineering as it is to call a poor libertarian one. just a perspective check - the top 5 riches people in the US have a wealth of about 425B dollars, at the risk free rate that generates about 30M per day in interest. IMO that type of wealth generates a great responsibility to do something good with it. And in general, i think most of these folks see it that way as well. You've gone off on a few different tangents there, but it should be clear my moral perspective on economic issues is utilitarian-based. If redistributing wealth back away from the super-rich (as was done in the US from the forties to the seventies before the flow reversed again) into social programs that benefit the less well-off in terms of healthcare, education, opportunity etc. results in greater wealth and well-being for more people than not doing so, then I am for it. If it were the case that doing so resulted in less overall well-being, I would be against it. I believe the former and therefore am for it. Great wealth isn't always well-handled, and the wealth in question becomes great enough so that its mishandling is a problem. The solution? Nationalization of wealth. It's an ugly solution and the details of the how of it would have to be worked out, but confiscation of capital would do it. Before anyone screams, those of you who might scream may not know that the fees for many bank accounts and financial management services, especially those provided by large banks, are confiscatory. If you have a small account and don't use it, do not be surprised if after a while it's gone. And if you have investment management, not only do they take a portion of income, but also a portion of capital! And never mind punitive administrative fees even exceeding $500 per hour! I didn't go off on a tangent. It was directly responsive to your post. My point was that your Utilitarian approach could equally apply to the right, with the argument being that allowing uncontrolled wealth could result in overall societal benefit. This means that your amazement is unjustified. The billionaires haven't tricked the poor into supporting the unjust wealth of the rich. The poor just realize they'd be poorer under a different system. So, you're laughably empirically wrong. Because high tax, low inequality i.e. controlling wealth and redistributing downwards. Amazingly, the poor are not better off when you redistribute money away from them to the rich, but are when you redistribute money from the rich to them. But you're illustrating my point very well re the prevailing ideology if against all the evidence, you actually believe what you are saying. According to Kate Raworth in her book Doughnut Economics, the greatest part of the expense and risk of research and development, yielding the technical expertise and knowledge that venture capitalists later reap the benefits from, is undertaken by governments, that is by the taxpayers. If you like. It evolves naturally though, so we're just chasing words around here. The world after capitalism will also have to emerge naturally and organically from history. If it's rarely been achieved, then tell me the example. And changing the "status quo" means today attacking some group of people, who are described to be harmful. In my country politicians aren't rich and typically aren't millionaires and don't retire millionaires. There are very few if any that have a wealth of over 1 billion. That politicians hoard huge fortunes just means that the legal institutions that should prevent corruption don't exist or are weak. Wow, that's pretty thick. A theocracy, those building a "New Jerusalem" or whatever especially want the best to people. First of all, they want to save their souls, create a more righteous society A theocracy is a case and point example of this. And a feudal society? Even feudalism has a logic to itself in a society where centralized government hasn't either been created or has dissolved (as when Antiquity turned to the Dark Ages). And during a recession it somebody else's fault or the fault of the other party that was in power, yes. What I was trying to say was that when people take the economy for granted, it means that the economy, the tax income it can possible get and employment are basically stationary and given. And if there is growth in an economic upturn is taken as granted. It's just the rich people who take far more than what would be their fare share. The populist discourse always takes the stance that "ordinary" people have been the victims and the fault is, well, you name it, some hated segment of the society. Well, Denmark has 10 or so billionaires to 5,8 million people. The US with 327 million people and 585 billionaires. 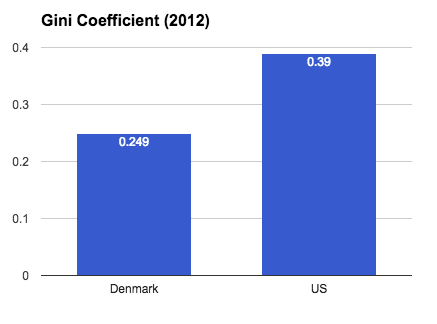 That means if I counted correctly, there are more billionaires per capita in Denmark than in the US! Anyway, the figure is in the same ballpark here. 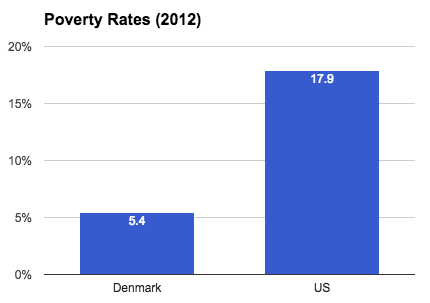 With this in mind, your statistical comparison about US and Denmark just shows how ridiculous is the idea of "banning" billionaires is to either wealth distribution or in fighting povetry. These things are a bit more nuanced. 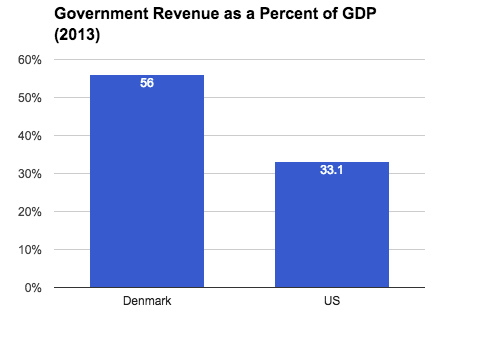 And btw, in Denmark the top rate for capital income is 42% and the tax ceiling goes on at 52,5% (similar as here) hence it's a far cry from Benkei's 92%. I’m saying that I don’t think you’re proposal would work. I’m not saying what’s right or wrong, I’m just saying I don’t think it would happen. I think it's important to acknowledge that nine hundred ninety-nine million nine hundred ninety-nine thousand nine hundred ninety-nine million dollars (1 dollar less than a billion) isn't exactly a small amount. There are many Americans living in absolute poverty, other Western countries have increased taxes not just for billionaires but everyone. To allow for socialist policies which help disadvantaged people have a chance in life. Another thing to consider is capital is increasing faster than the economy, which means the rich will get richer at a faster rate than everyone else. This will lead to increases in wealth inequality and it may mostly just come down to the inheritance of capital. I don't know all the ramifications of what might happen if a very high tax rate existed in this day and age but there are lots of good reasons to want wealth redistribution. Do people like having a limit? When one imposes a ceiling of sorts people don't like it. The point of keeping the options unlimited is that even though a few may become excessively rich but many become, as you said, "rich and/or famous without being a billionaire". I guess it's an effect of our system that revolves around money. Even when we switch gears on what it means to succeed by saying publishing a paper in a reputed journal is a mark of an achiever, there will be the genius who publishes more than anyone else. Yet, this particular person who does so is a motivator or model to emulate. My issue with Hanover concerned what kind of system the relatively poor are better off in and where therefore their interests lie in promoting. And that's a system where those with more wealth than them pay high taxes and the income from those taxes is redistributed into social programs in the way I previously outlined, as is the case in Denmark (or as some left-wing Democrats advocate). That was the context that I raised at least. How far that can be taken in practice is another question. A unilateral sudden jump to 92% tax rates and a ban on billionaires in an advanced democracy entwined in the global financial system is likely to lead to huge capital flight and may very well hurt everyone including the less well off (to that extent I'd agree with Hanover, but that's probably as far as our agreement goes). So, moves to reverse the increasing concentration of wealth in fewer hands need to be carefully managed, obviously. Just how would banning billionaires achieve this? If you hold billionaires responsible for this state of affairs just how are they responsible for it? How would removing them achieve this? As you agree with the obvious result of ban on billionaires and 92% tax rate, I should point out it doesn't result only in capital flight, but basically can cause a brain drain too and other severe consequences. It should be noted that even with wealth distribution and povetry eradicated by a welfare state, you do get billionaires. So what happens when we ban billionaires? Let's take your model of Denmark. Of those 10 Danish billionaires four belong to one family, the Kristiansen family. And what sinister bad thing have they done? Basically their grandfather (and to the next generation their great grandfather) founded a toy company called LEGO. Hence the question is,how much revenue for Denmark has LEGO bought and that LEGOLAND is in the small town where the founder of the company was born? The vast majority of the 17 000 employees work in Denmark and is the 12th biggest employer in the country. In fact, all 10 Danish billionaires are competing in the global market, not "stealing" their entire wealth from the Danes (as there are only 5,8 million people). But for Benkei this is evil and Denmark would be far better off with the Kristiansen family moving their business to the US, where the bigger market is. Because with that 92% tax rate after one million, it would have be rather difficult to invest in LEGO at the first place to grow to the size it is. And as the company is a family owned business, obviously it's not just an investment. "Has the billionaire made his fortune with a great product or service on the global market or not?" This is crucial. The global market isn't controlled by one country and hence corrupt ties to political leadership cannot be the reason for success in the marketplace, when you have alternative places like the US, EU, China, Russia, Japan etc. With that mix of countries, you simply cannot profit from political ties to the leadership of all countries. And here you can see the difference with lets say the Kristiansen-family and for example Carlos Slim. Even if Slim's América Móvil operates in other countries (mainly Latin America), it's road to fortune came from seizing the Mexican telecommunications market. Hence Slim's fortune have to do a lot with on the decisions of the Mexican government. When it comes to an aggressive toy company that had the revolutionary idea in the 1940's to change from wood to plastic in toys, the success hardly has come from warm relations with the Danish political elite. Typically the billionaires that have basically their business in one country, have in their background either a monopoly or a near monopoly, which has been granted by the government of that country. I don't know of any Russian oligarchs that has had his company being successful in enlarging their operations substantially outside Russia. Here the real problems rise of wealth and power, when the government institutions are weak and you get a vicious circle where private business profits from government decisions and then gets more political power. Worst case private entities simply cannot compete outside the countries borders as they are in no way capable of competing in the global market. And then there are the billionaire thieves like Ferdinand Marcos, the dictator of the Phillipines and of course Vladimir Putin, likely the richest man in the World. These indeed are the "bad" billionaires. You can not emulate genius, you either are or are not. If we take the common meaning of genius. You seem to be assuming that being driven to succeed is a universal good. We can point to driven people and wonder why they make weapons. If being driven to succeed is a good thing then why can it have such catastrophically bad results? Sometimes good does come of being driven to succeed, but sometimes not. So maybe ambition is neutral and not necessarily a good thing. Then you have to wonder about success. Is it really "success" to become less empathetic and caring as your wallet thickens? How can success involve the loss of key elements of a person's character? Maybe an alternate strategy would be to be driven to wholeheartedly work for your community's success... I'm not saying to offer a product or service and demand wealth in return... but truly use whatever talent one has to forward the goals and aspiration of everyone. A billionaire builds himself higher first... with a nice long jump down to the rest of us. A humanitarian builds the community on the foundation of her talents. We can not attribute anything like the second attitude to billionaires. Why do community work and resources need to be concentrated into one pair of hands? ""It had meant nothing, solved nothing, and proved nothing; and in so doing had killed 8,538,315 men and variously wounded 21,219,452. Of 7,750,919 others taken prisoner or missing, well over a million were later presumed dead; thus the total deaths (not counting civilians) approach ten million. The moral and mental defects of the leaders of the human race had been demonstrated with some exactitude. One of them (Woodrow Wilson) later admitted that the war had been fought for business interests; another (David Lloyd George) had told a newspaperman: ‘If people really knew, the war would be stopped tomorrow, but of course they don’t—and can’t know." We aren't really very bright for an intelligent species. Wealth is a lever one person uses to move the world. Foolish to trust any human with that kind of power. Do you have a better system in mind? You have pointed out a relevant fact - human nature. It's the flaws in it that result in the deplorable situations you describe. On that view wouldn't you agree that any system would fail as miserably. Let's take communism for example - perfect on paper (no billionaires possible) and yet a complete disaster. The sam reason - human folly as you so eloquently put it. So, what kind of a system do you propose to replace the one which allows for billionaires to exist? I have some ideas, but it's important to note that I wasn't actually pointing out elements of human nature. What I was pointing out is that the model we base our society on tends to emphasize certain elements of human character... or nature if you prefer. In the case of an agrarian lifestyle what you see, is what we typically think of as human nature... competitive drive... greed... ego. But only because we have been in a sense domesticated to this pattern. These human traits are emphasized by our choice to defend a plot of ground rather than roam around finding stuff to eat. If we look at the hunter-gatherer lifestyle we see a different set of human character traits emphasized by that choice. Ideas of property and time are different... tendency toward in group cooperation rather than competition. Things of that nature... Without any romanticizing of a noble savage. A good example of the direct different that serves as a case in my larger point. When we dig up hunter gatherer communities, we find houses of similar kind and size. When a culture shifts to a agrarian mode, we immediately begin to see mansions and huts. ...if the mode of living is not sustainable even in terms of tens of thousands of years... then it is not a wise choice for any long term society to adopt. If we want to discuss developing a lifestyle model that emphasizes certain human character traits within that society then we'd have to come to some kind of agreement as to what the the ultimate goals are and then decide which human traits might best found a society to achieve those goals. So, sure I have ideas, and when everyone agrees I'm the ruler of the world... I'll start trying stuff. Actually, I think we are coming to a series of paradigm shifts, everything we see happening indicates a coming discontinuity. What happens then will determine the elements of human character that history emphasizes in the coming age... if any. I could go on and on. Essentially bring down human population in a controllable way and start figure out the maximum sustainable human population we can achieve using the sun's energy budget and stick to that. If we want to expand we need to move into space... and develop the society that can do so. I wonder though how we could control our innate urges to do better than the Joneses. Competitive behavior is natural to us but I guess it was more about becoming and staying equal with your opponents. It wasn't about outdoing them and letting opponents eat your dust. The current economic paradigm is about growth, growth and more growth. It's this attitude that's doing the harm - pitting us against each other in a cutthroat competitive race to be bigger, probably not better, than everyone else. I guess economists don't know what uncontrolled growth means. Cancer?! However, to be fair, we must remember that the opportunities have been equal. Rags to riches stories are more common than the rich getting richer. It's like conducting a fair examination - equality but there are bound to be smarter people who do better. Is it the fault of the system which seems correctable or is the problem in, say, our genes which is intractable? "I wonder though how we could control our innate urges to do better than the Joneses"
Competitiveness is an element of human character... In our society it is emphasized to the point of being a super power compared to some other lifestyles.... I mean that literally. So, while competitiveness is a characteristic so is cooperation. What would a world society built on cooperation look like...? When I really get to thinking about it, it kinda boggles my brain. So because of agriculture we've been led into defending fields that once supported anyone that walked across them. Because of agriculture we've had to develop money, and property and authority. These things are not necessary to our survival... and the creation of them in a competitive environment leads to just about every human crime you can think of. Without these things Human population doubled every ten thousand years... The lifestyle was sustainable and lasted some 190,000 years and generated a final human population of 5-10 million individuals. There was still competition, and murder and every other expression of the human character... but the balance was much more even and less specialized. Can't go back to that even if we wanted to, but there are structural elements of these groups that could inform a more sustainable society and population within the energy budget given by the sun. Getting there from here would likely be very difficult... to say the least. I do believe one thing about billionaires; no one can make that sort of money and be a moral person. I’ve worked with people in business and done some myself. I wasn’t capable of making business decisions, I tended to falter over what was fair. Those who succeeded, while being some of the best people I’ve met, could make very pragmatic decisions and do what was necessary. The further you go the more extreme those decisions become affecting a lot of people. What about winning the lottery or are you specifically referring to moguls like Jeff Bezos?